Track durations and BPM are not given on the record. Night at the beach. Delysid sky watching over us, we. became. complete. Russ Gabriel rework for me! 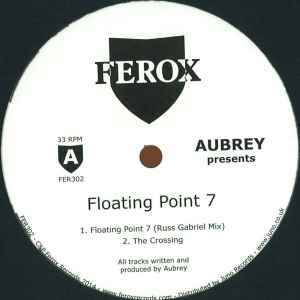 Holy f#ck, how deep can this take you; I was out, out of techno....kind of..Floating Point 7 pulled me back, sweeping, swoonful layers of deep deep beautiful techno. Didn't think I could get grabbed this hard anymore, but yep, i'm back down, thanks Aubrey!